Ekta Kapoor just became a new mother with the birth of her son Ravie, a few days back. It is Ravie’s naming ceremony today and many Bollywood celebs are attending the event. Abhishek Bachchan, Shweta Nanda Bachchan, Karan Johar and his mother Hiroo Johar, Swara Bhaskar, Tusshar Kapoor and many others made it to the ceremony. Check out the pictures! Abhishek Bachchan attended Ekta Kapoor’s baby boy’s naming ceremony on Monday night. He sported a casual look in a red hooded jacket and denims. Abhishek’s sister, Shweta Nanda Bachchan accompanied him to Ekta Kapoor’s son’s naming ceremony. She looked cool in a white top, over which she wore a navy blazer, and teamed it with jeans and pink shoes. 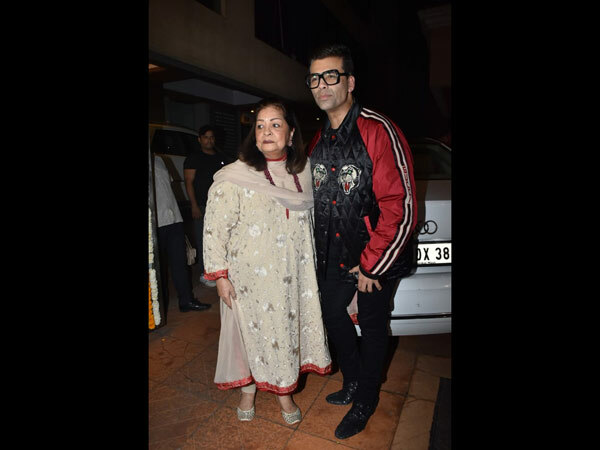 Karan Johar and his mother Hiroo Johar were present at Ekta’s son Ravie’s naming ceremony on Monday night. KJo wore a quilted red and black jacket with black pants, while Hiroo Johar wore a beige churidar. 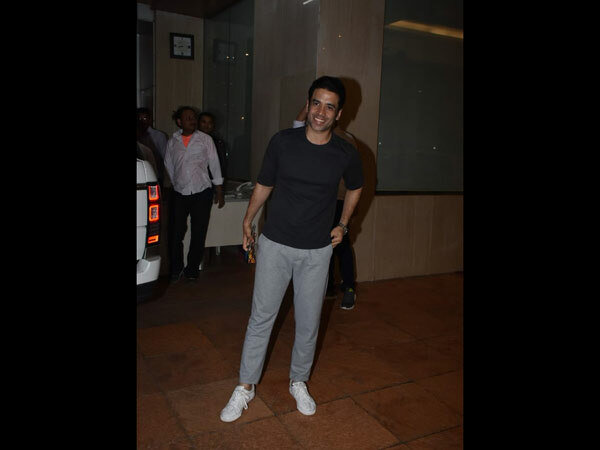 Tusshar Kapoor was all smiles at his sister Ekta’s son’s naming ceremony. He sported a casual look in a black t-shirt and grey pants, and teamed it with white sneakers. Baby Ravie’s, grandpa, Jeetendra’s face was lit with joy at the naming ceremony on Monday night. Ravie was named after Jeetendra’s original name. 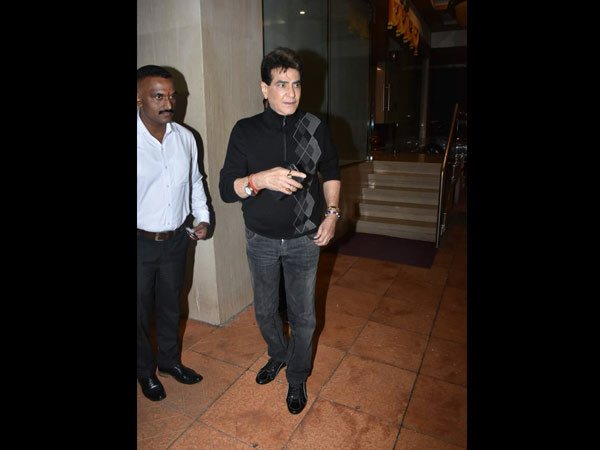 Jeetendra sported a casual look in a black zip up jacket, and dark wash denims. 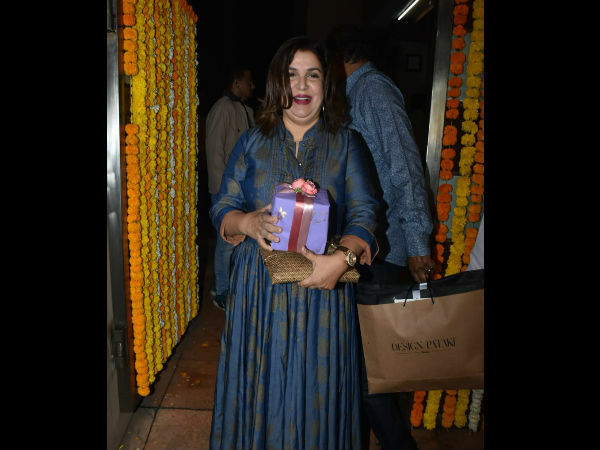 Director Farah Khan, who is close to Ekta Kapoor, attended Ravie’s naming ceremony on Monday night. She donned a beautiful blue kurta. Swara Bhaskar looked lovely at Ekta Kapoor’s baby’s naming ceremony on Monday. She wore a light blue ethnic ensemble and carried gifts for the baby boy.